Pro Tow of Columbia offers our customers courtesy No Parking signs at no charge. Are you dealing with the headaches caused by parking violators at your place of business? Call Pro Tow today for a free No Parking sign. We serve business and other commercial customers, as well as residential communities, property owners, and restaurants and bars. Let Pro Tow help you with your parking problems. Call us today at (803) 808-0505. 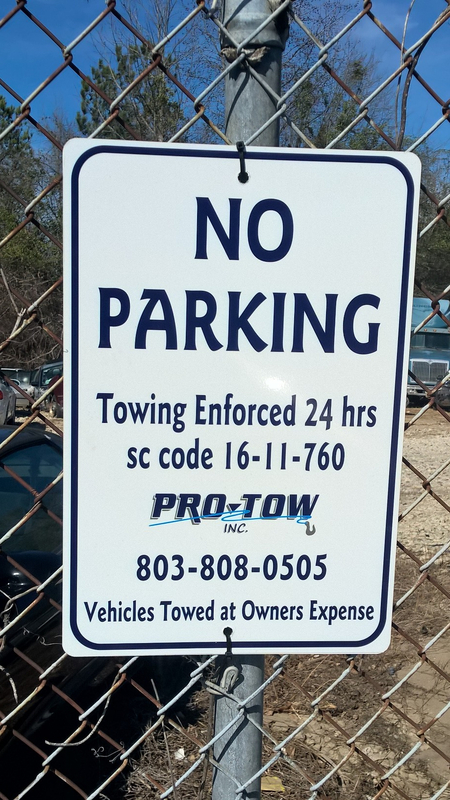 Call Pro Tow of Columbia at (803) 808-0505 for your free No Parking sign.